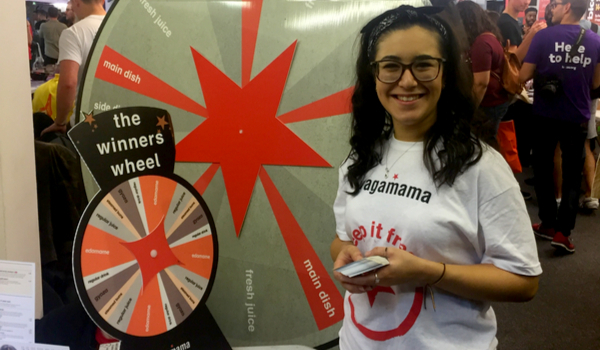 The UK’s favourite asian-inspired restaurant Wagamama, came to BAM seeking our knowledge and experience to execute a nation-wide freshers tour throughout September and October 2017. 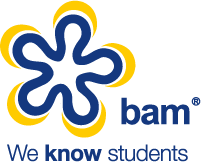 We took the campaign to 72 Freshers’ Fairs across the UK from Aberdeen down to Plymouth and everywhere in between, BAM were responsible for the booking and coordination of all stall spaces across fair locations. Employees from the local restaurants supported the activity by bringing a large spinning wheel, giving lucky students the chance to win either a complimentary fresh juice, side or main dish. BAM further supported the campaign by supplying an experienced Team Leader at every event. 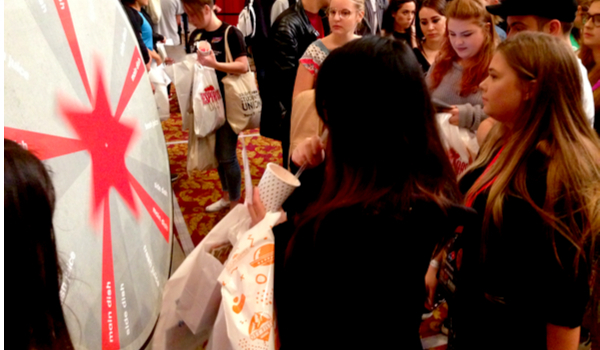 Every team leader was highly motivated with extensive experience within the promotional industry and were able to successfully drive traffic and increase engagement at each stand. Data collection was a key objective for Wagamama so we designed and created a fully branded data collection app with offline capabilities. A challenge many brands face at Freshers is a lack of strong wifi connection (if any at all), which causes major problems when capturing data from online forms. Our data capture app was able to eliminate the pressures of needing wifi or having to spend time transcribing data from a paper form. The forms were quick and easy to complete, which was highly efficient when managing the mass crowds that formed at the Wagamama stand! Across the 72 events we collected 44,600 pieces of student data, which exceeded the set target of 35,000. With a winning combination of great brand presence, engaged students, reliable tech and experienced staff, Wagamama were able to achieve 130% of their data target. It is safe to say the campaign was a huge success and we look forward to working with them again in 2018.